Mass produced electronic circuit boards need to be manufactured in a highly mechanized manner. The traditional leaded electronic components do not lend themselves to this approach. Although some mechanisation was possible, component leads need to be pre-formed, and when they were inserted into boards automatically problems were often encountered as wires did not fit properly slowing production rates considerably. It was reasoned that the wires that had traditionally been used for connections were not actually needed for printed circuit board construction. Rather than having leads placed through holes, the components could be soldered onto pads on the board instead. This also saved the need to drilling as many holes in boards. As the components were mounted on the surface of the board, rather than having connections that went through holes in the board, the new technology was called surface mount technology or SMT. The idea for SMT was adopted very quickly because it enabled greater levels of mechanisation to be used, and it considerably saved on manufacturing costs. Do you current to urgent need SMD electrolytic Capacitors? Find us jb, jb can solve you this problems. Size (DXL): 4x5.4mm, 5x5.4mm, 6.3x5.4mm, 6.3x7.7mm, 8x6.2mm. In theory, capacitors can be coupled both in series and parallel. If you need a 100MF cap and have two at 50MF, you can connect them in parallel, and that will give you 100MF (and same voltage rating as each). If you couple them in series, you get half the capacitance, and double voltage rating. But coupling electrolytic capacitors in series to get higher voltage rating must generally be discouraged. For this to work, you must be sure that the two (or more) caps share the voltage load properly; a resistor network can augment this, but if leakage currents are markedly different or the capacitors age differently, you are looking at a potential disaster, so do this only as a last resort, if at all. As already mentioned at previous blog, never go below the voltage rating of the original part. Standards in voltage ratings have changed over the years, so you may not be able to find an exact replacement for the 250V capacitor you want to replace. Instead use 270V or even more. The only adverse effects of using a too high rating is price and, maybe, physical size; small problems compared to the risk of a capacitor impersonating a large firecracker inside your equipment! Same is true of capacitance values: Standards have changed, and instead of old values like 15MF, 32MF, 50MF, etc, you will find 16, 33, 67, and such. The capacitance values of electrolytic capacitors are normally not very critical to the circuitry function, especially not in filters. A good rule of thumb is to go for the range between -20% to +100% of the original value, of course choosing a value as close as you can get. There is a caveat here: If those capacitors have already been changed once, the values you look at may already deviate from the original values. 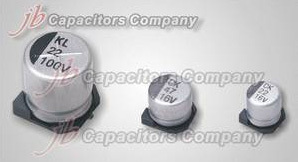 If a 260V 40MF capacitor has sometime along the route been replaced with a 450V 67MF, you could be heading for problems; a 650V 100MF replacement will probably work, but we are getting out of bounds (oversize filter caps put extra strain on rectifier tubes, not to mention the price). So it would be nice to make a rough calculation to see if the value we are aiming for is reasonable. jb told you have three sure ways to kill an electrolytic capacitor,please be noted. Overvoltage: If the specified voltage is exceeded, current will leak through the isolation, not in a slow way that might regenerate weak areas, but violently, creating hotspots where additional break-down occurs. The danger of explosion is imminent. Reversed polarity: As described, the inverse of regeneration = self destruction, will occur. If the applied voltage is near the normal (right polarity) working voltage, break-down is quick and violent. The effect of a low inverse voltage might be reversible. Heat: Heat shortens the life of an electrolytic capacitor. A good rule of thumb is that every 10deg C over 85 will cut the life expectancy in half. The rules for a long peaceful life are, of course, the opposite. When replacing electrolytic capacitors in old equipment, never, never go below the voltage rating of the original parts. Modern components are usually more compact, so if you cannot get the exact rating, choose a higher one, there will usually be room for it. If wrong polarization or overvoltage has caused an electrolytic capacitor to become hot, discard it. Look out for heat sources, in old power supplies, there is often a large hot drop resistor placed near the filter capacitor, make sure it doesn’t transfer too much heat to the capacitor. jb capacitors wish you Merry Christmas & Happy New year! Take this opportunity, recommend you one of our most strong series capacitor--JFB series. This series crossed Panasonic ECQE, Vishay MKT368, Konek MKT 68, K73-17....in China called CL21..
widely used in electronic ballast, CFL, switch power supply... very popular, big demand in the market due to competitive prices. Check our datasheet linked below, welcome to ask for quote. Integrated circuits: There is a variety of packages which are used for integrated circuits. The package used depends upon the level of interconnectivity required. Many chips like the simple logic chips may only require 14 or 16 pins, whereas other like the VLSI processors and associated chips can require up to 200 or more. In view of the wide variation of requirements there is a number of different packages available. For the smaller chips, packages such as the SOIC (Small Outline Integrated Circuit) may be used. These are effectively the SMT version of the familiar DIL (Dual In Line) packages used for the familiar 74 series logic chips. Additionally there are smaller versions including TSOP (Thin Small Outline Package) and SSOP (Shrink Small Outline Package). The VLSI chips require a different approach. Typically a package known as a quad flat pack is used. This has a square footprint and has pins emanating on all four sides. Pins again are bent out of the package in what is termed a gull-wing formation so that they meet the board. The spacing of the pins is dependent upon the number of pins required. For some chips it may be as close as 20 thousandths of an inch. Great care is required when packaging these chips and handling them as the pins are very easily bent. Other packages are also available. One known as a BGA (Ball Grid Array) is used in many applications. Instead of having the connections on the side of the package, they are underneath. The connection pads have balls of solder that melt during the soldering process, thereby making a good connection with the board and mechanically attaching it. As the whole of the underside of the package can be used, the pitch of the connections is wider and it is found to be much more reliable. A smaller version of the BGA, known as the microBGA is also being used. As the name suggests it is a smaller version of the BGA. Transistors and diodes: These components are often contained in a small plastic package. The connections are made via leads which emanate from the package and are bent so that they touch the board. Three leads are always used for these packages. In this way it is easy to identify which way round the device must go. Passive SMDs: There is quite a variety of different packages used for passive SMDs. However the majority of passive SMDs are either resistors or capacitors for which the package sizes are reasonably standardized. Other components including coils, crystals and others tend to have more individual requirements and hence their own packages. Resistor and capacitor packages have a variety of packages. These have designations that include: 1812, 1206, 0805, 0603, 0402, and 0201. The figures refer to the dimensions in hundreds of an inch. In other words the 1206 measures 12 hundreds by 6 hundreds of an inch. The larger sizes such as 1812 and 1206 were some of the first that were used. They are not in widespread use now as much smaller components are generally required. However they may find use in applications where larger powers are needed or where other considerations require the larger size. What are SMT components have?